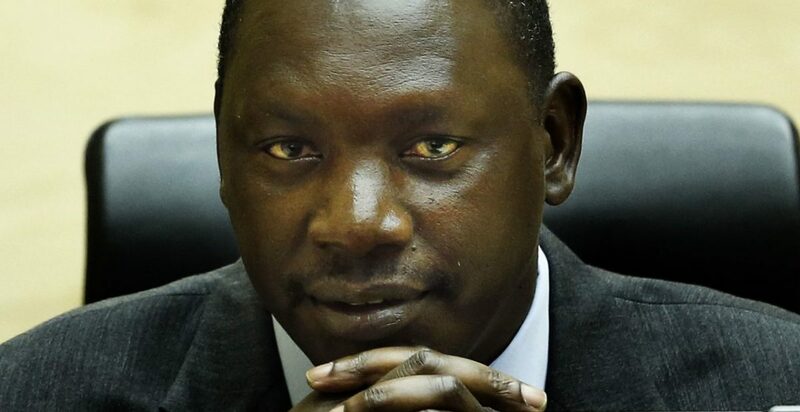 On Tuesday, the International Criminal Court will deliver its reparations judgment in the case against Thomas Lubanga. On the eve of the ruling, Justice Hub spoke to Luke Moffett at the Queen’s University of the Belfast School of Law to find out exactly what reparations are and what the main issues are. Reparations are victim-centered measures of redress. So when we talk about dealing with the past, dealing with mass atrocities, we often think of different mechanisms for dealing with that. The ICC is a focal point of criminal trials. There are also truth commissions and reparations can be built on the back of those. In my mind reparations are two things. Reparations are both a process and an outcome. Reparations is both a procedure and a process. In terms of a procedure, it’s a process of victims participating. Q: What different types of reparations are there? Probably the most discernable way of people understanding what reparations are, is compensation. It’s a very basic form but there are also other measures such as rehabilitation. There is also restitution, which is returning people’s property, to the extent that is possible, and restoring their rights, such as citizenship. There are also other measures which are more symbolic and collective, such as measures of satisfaction like apologies, memorials, commemorations, investigations, recovery of those disappeared. And then there’s also a guarantee of non-repetition. So not just backwards-looking, like the other four measures, but also to make sure that the victimisation doesn’t happen again. In sum, reparations are victim-centered measures of redress that most people think are just compensation, but they’re more than that. It’s about publically acknowledging that victims suffered harm and it was caused by another. It’s both a tangible and monetary, but also, a symbolic measure. Q: Where do reparations come from and how do they fit in with international criminal law and the ICC? Reparations come from civil law suits, where someone has done a civil wrong and you sue them in court. So that’s the basics, and that has then been transposed onto the international legal system. States have committed wrongs for hundreds of years, and then they are forced to repent and prevent it happening again. Reparations are general state-centric and have been since the treaty of Versailles. Generally it’s state-centric, state-driven and very political. What the ICC does, however, is then to say that international crimes are committed by individuals, so the individuals are responsible. So it’s trying to adapt both transitional and international law concepts, but also private law ones to an international form. And this has come from the dissatisfaction that victims have had with ad-hoc tribunals in the former Yugoslavia and Rwanda, where they felt justice was done on behalf of them, but it was very abstract. So people didn’t think they benefited and went about their daily suffering. So the ICC developed an individual responsibility for reparations. What we see with the Lubanga case is problematic because he doesn’t have any money. Q: So what are the main problems around reparations and the ICC? It’s problematic because in abstract theoretical terms, international crimes are committed not just by individuals. They’re perpetrated by thousands, if not hundreds of thousands, of people. So to make one individual responsible doesn’t always work. That’s why states generally provide reparations because they have the capacity and resources to do so. The ICC is struggling with victims’ expectations on reparations and the harsh realities that these persons don’t have any money. So it puts it in the hands of the Trust Fund, which has some responsibility for reparations, which in my view it is only for delivery. The majority of the Trust Fund’s work is just a sort of interim assistance until the victims get the reparations from the ICC. Q: Looking ahead, what are the main issues with reparations in the Lubanga case? The problem with the Trust Fund and the Lubanga case is that the Trust Fund gets a bit ahead of itself by thinking “we’re going to do transformational justice”. It thinks that it can deliver a sort of state reparations mechanism to communities. But the Lubanga case only has 129 victims participating, mostly child soldiers. The Trust Fund wants to deliver reparations beyond just the child soldiers to individuals and communities affected by the violence, which is problematic because Lubanga was only convicted of using child soldiers. The ICC is a very specific form of justice to those 129 victims before it. Of course there may be other child soldiers in Lubanga’s militia who may be eligible, but they have yet to be identified by the ICC. With state reparations programmes, you try as far as possible to remedy the suffering of all victims. In the Lubanga case, it’s just child soldiers. So if you just send money to child soldiers, then that’s going to cause some sort of disruption within the community, along the lines of “these people are benefiting, why aren’t the rest of us getting it”. The Trust Fund wants to expand that to those who have been affected by sexual violence and other crimes, so to widen the benefits of reparations. So they wanted to give community reparations, but the victims strongly disagreed with this. To paraphrase: ‘the victims want individual reparations and not to the community because the community were the ones that pushed us out. Our families sent us away, or we were forced to be conscripted, and they supported Lubanga’. This goes back to the process and the symbolic nature of reparations. It’s supposed to respond to and remedy the individual’s harm. It’s not meant to be general development or humanitarian aid to a country.